Hi. 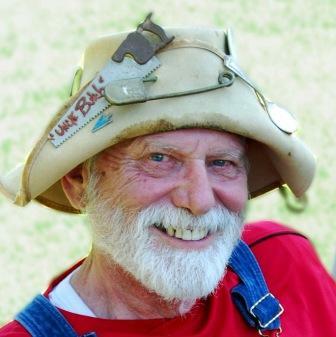 I'm Uncle Butch and I've been a sawyer (saw player) for about 30 years. I teach the craft at folk festivals and events. I will use this site to let you know where and when I will be teaching and/or playing. 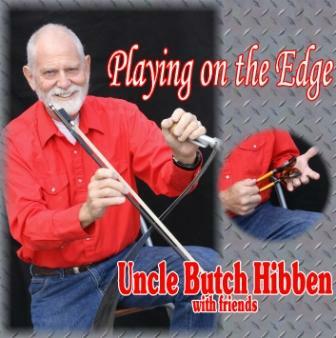 If you are interested in learning to play the saw and do not find a venue convenient to you, please contact me on my cell phone: (909) 489-6883, or email me at unclebutch@hibben.org . 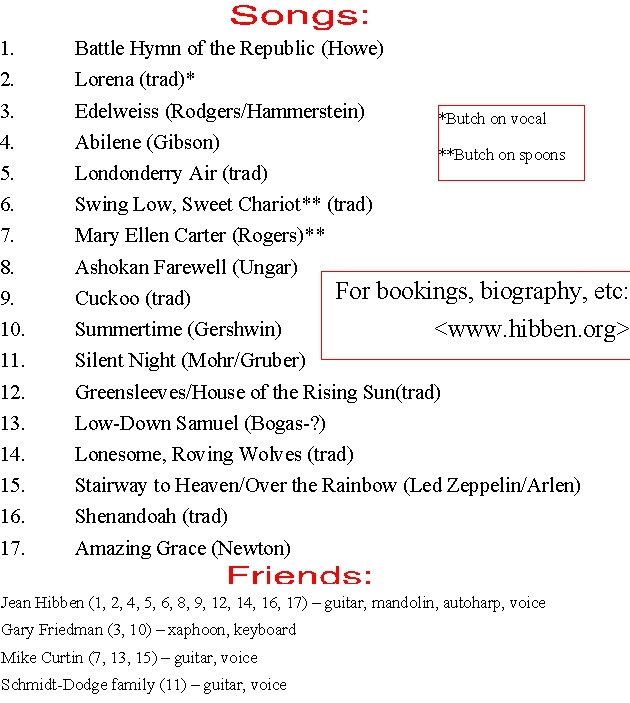 If you are interested in coming to a meeting of the Riverside Folk Song Society, where I frequently attend and add saw to the mix of music, click on the link above. Or order directly from us by emailing your request and snail mailing your check ($15.00 - includes shipping). click here to download "how to play the saw"
The saw is not for everyone, but that's what makes it such a fun instrument - playing the saw definitely makes the sawyer (saw player) a unique addition to a jam session, a concert, or an impromptu gathering of musicians. Included here is the handout I use at the workshops I conduct. 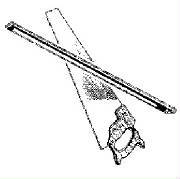 It has a number of hints for saw playing and includes my philosophy of using this instrument. Click on the link under the image of the saw to the left of this dialog box. Check back after the first of the year for information on the 2013 presentations.